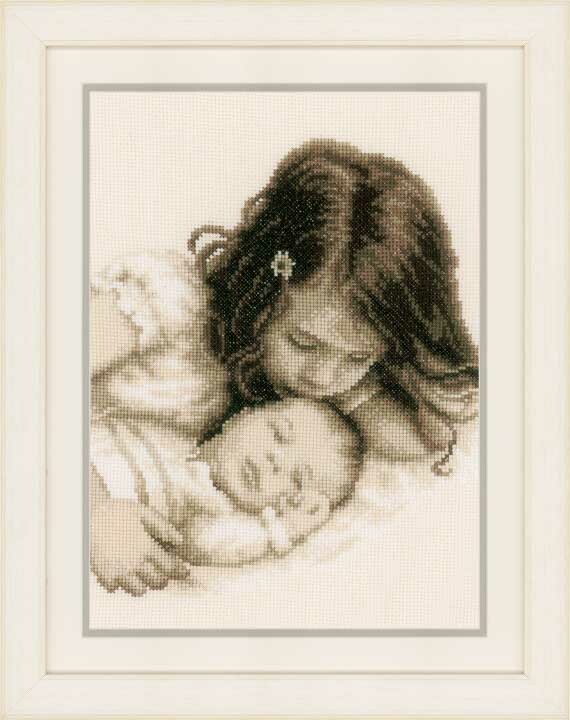 Counted Cross Stitch Kit: Baby and Sister. Design to be stitched with cotton pre-sorted threads onto 14 count, cotton, ecru aida fabric. Kit also contains: chart, instructions, large-square charted design, needle, front sheet picture. Approximate finished size: 22 x 27cm / 8.8 x 10.8in.